Some records you take just for the cover alone... Like this 45RPM that once was a supplement with the Dutch ladies magazine "Margriet". I have several records on this label, mostly VOX re-issues, but non have that wonderful late 1950's romantic flair on it... What is she staring at? What does she think? Why is that candle there?? 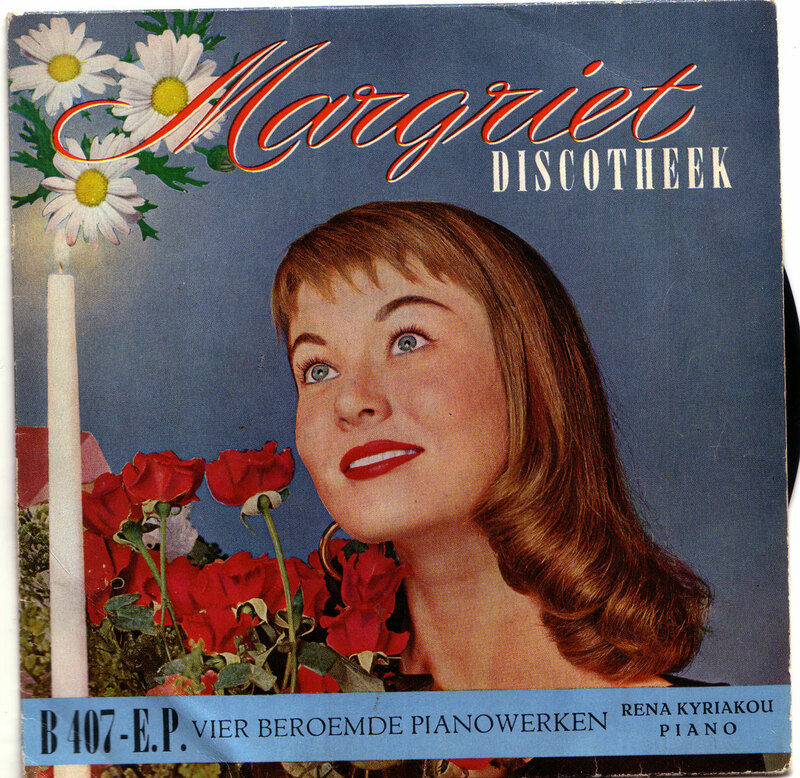 Well, in the end, 10 Eurocents well spend... :-) Greek pianist Rena Kyriakou (1917-1994) easily glides through the piano lollipops by Beethoven (für Elise! ), Schumann, Liszt and Brahms, can’t go wrong there… Hope you will enjoy this curiosity!